I have been getting into creepypasta stories so much that I'm going to write one of my own. I'm using this soure to see what elements Ineed to use. 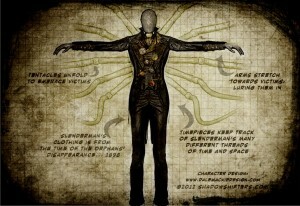 The story will be about Slenderman since I'm doind a presentation for school on him. What subject(s) do you think kids should be taught more about in school? What do you feel gets too much emphasis already? WE should learn more about science subjects such as physics, chemistry, anatomy, and other such. Today, we have a lot of emphasis on mathematics since it is a very important subject.